A new $50 million Cooperative Research Centre (CRC) focusing on Cyber Security was announced on 22 September 2017 by the Hon Craig Laundy MP, Assistant Minister for Industry, Innovation and Science and the Hon Dan Tehan MP, Minister assisting the Prime Minister for Cyber Security. This funding will leverage more than $89 million from the 25 industry, research and government partners over the next seven years. The University is an important partner in the CyberCRC, with researchers from across six schools and three faculties helping shape the programs and their themes for research and innovation. 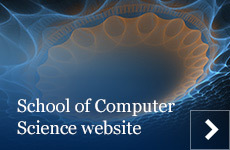 Key Adelaide University researchers have also been named as co-leaders for four of the CRC themes: Professor M. Ali Babar and Professor Chunhua Shen from Computer Science; Professor Matthew Roughan from Mathematical Sciences; and Professor Melissa de Zwart Dean of Law at the Adelaide Law School.